Finding time to sit down and write is becoming such a challenge in my life. I don’t even have to say the obvious since it’s been over a year when I had last updated my blog. I have a million and one things to say about our fight with chondrosarcoma but maybe I should still have a break from it here, at least in this virtual world. For now let’s talk about one of the best therapies from all ailments in the world. It’s called travel. In September of last year I went to a four-day trip to Dubrovnik in Croatia with my friend Lillian. Since Dubrovnik is quite close to Bosnia and Herzegovina, we decided to go for a day trip there. I’m glad we did as it was one of the most interesting trips I’ve ever had. Travel back down memory lane with me to that day almost half a year ago. Yes, it’s taking me that long to write about it. Oh well, better half a year late than never. Bosnia and Herzegovina is not a part of EU nor Schengen. For visa requirements, it’s better to inquire directly at your embassy. In my case, I wasn’t required a visa because I have permanent residency in the Czech Republic which is a part of EU and Schengen. This right away gave me entry under substitute visas. There are a lot of travel agencies offering a day tour package to BiH. All you have to do is go to an information center in Dubrovnik, select a brochure which package or which company you’d like to go with. For a day trip without food, we paid 350 Croatian kunas each (roughly €50). Unfortunately, I forgot the name of the company as I lost the brochure which I thought I kept together with this trip’s memorabilia. Shame because this company gave us the most interesting, if not the most entertaining, tour guide in Mostar. Serves me right for not writing about this trip, stat. The tour started at 7am. We were the first to be picked up. With this we had to get up really early, but the good news was we got to choose the best seats on the bus. 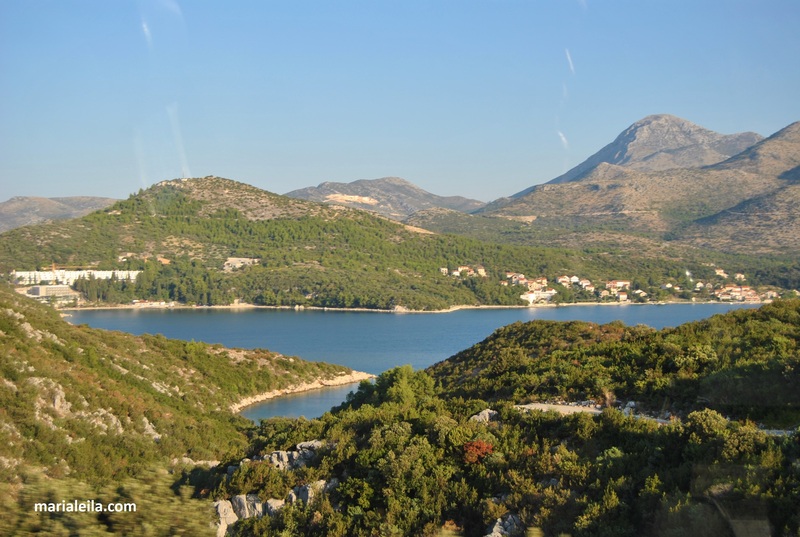 Our stops from this day trip were the seaside town of Neum, the quiet village of Počitelj, the beautiful town of Mostar which was the main dish of this trip, and the cascading waterfalls of Kravica. 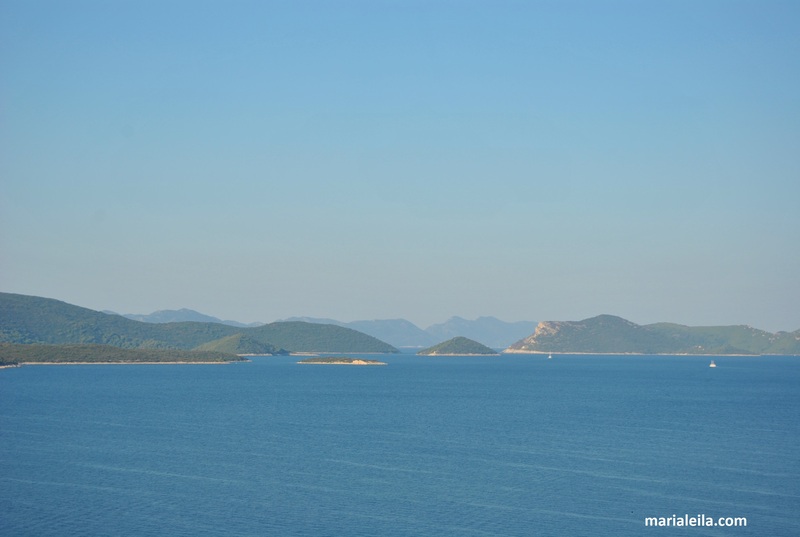 My first glimpse of Bosnian life was in this seaside town of Neum. The bus stopped here for just about 15 minutes, enough for a toilet and/ or coffee break. 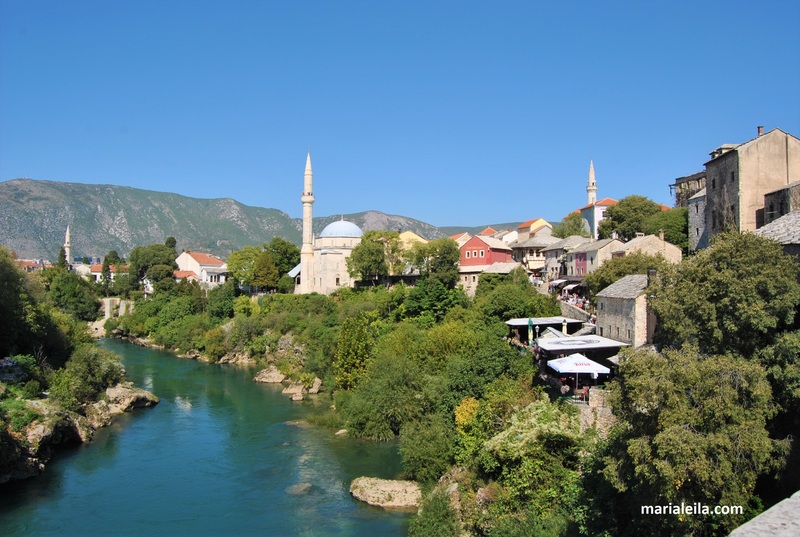 It’s the only Bosnian town along its 20- kilometer Adriatic coastline. It’s interesting how we had to get to the Croatian side of the border to leave Neum then enter another border to get inside BiH again. Yes, we crossed three borders one way, six total during the whole trip. 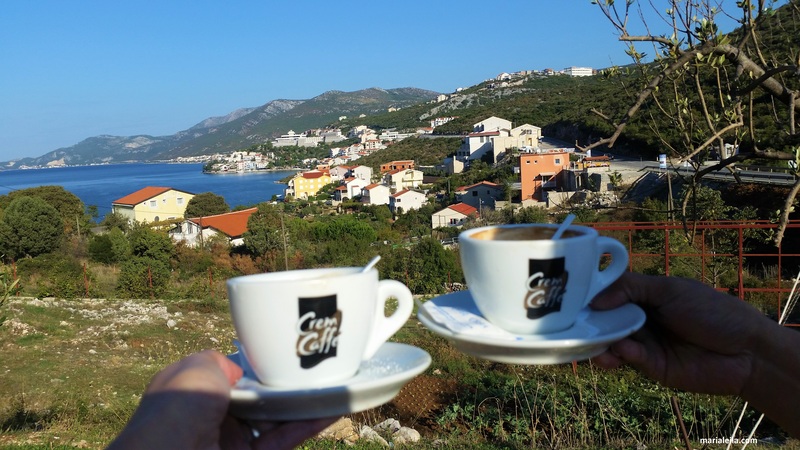 Coffee break in the Bosnian town of Neum. 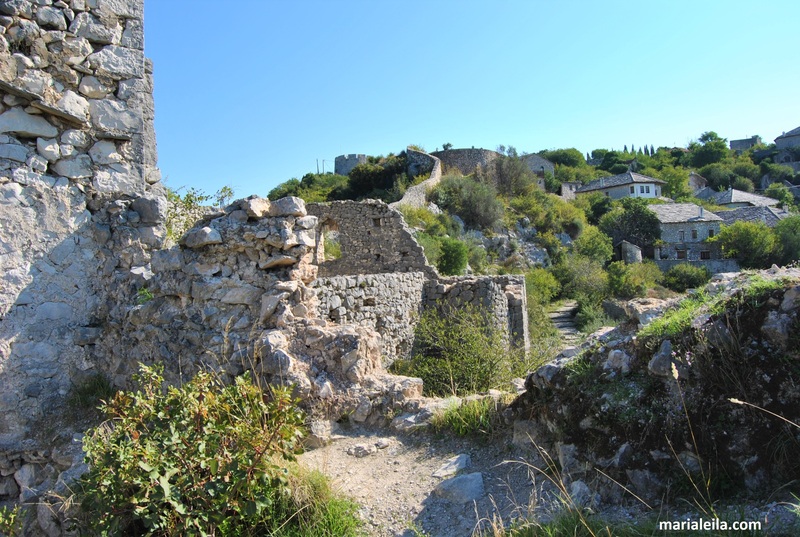 Our second stop was the small village of Počitelj. 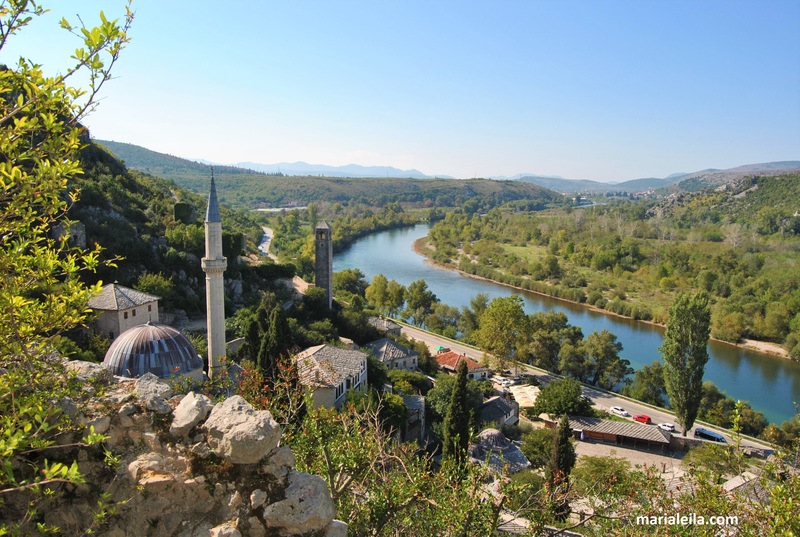 We only had half an hour to check this place out so Lillian and I decided to go up to the citadel to for a picturesque bird’s-eye view of the village and the Neretva river. I wish we had more time though. I would have loved to explore it some more, buy fresh fruits from the locals who were selling mostly tangerines that time and just soak up to the sights and sounds of the place. 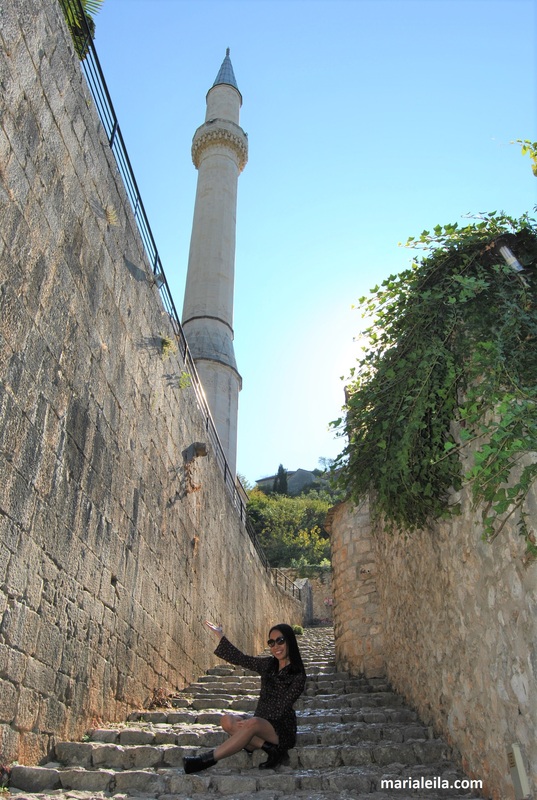 Beautiful, mysterious, chirpy and charming Mostar was the highlight of this trip. I’ve never seen a place so diverse and so accepting like this one. When I thought of Bosnia and Herzegovina before, it was all about the war and terror I’ve seen on TV. The bombings, displacements of families, the hatred amongst its people were what came to mind. 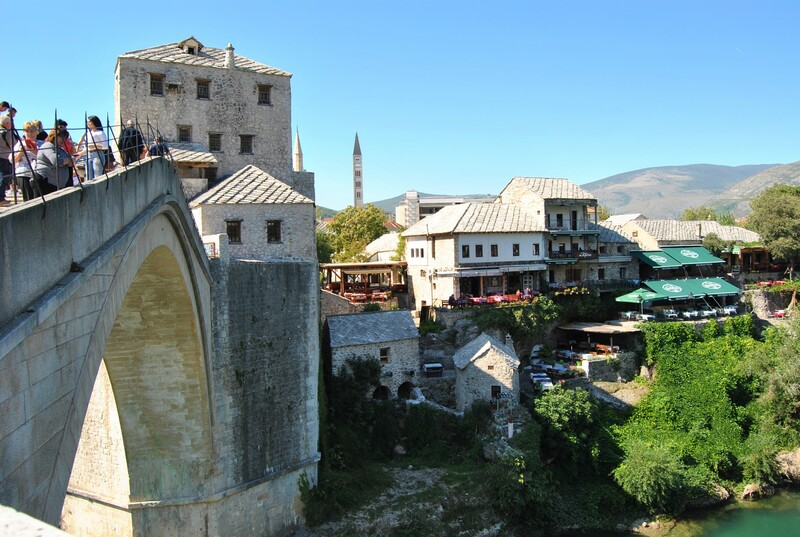 But Mostar re-shaped my ideas about the country. I know three hours were just enough to see the surface of the place, but those three hours in Mostar gave me a different perspective on culture, war, religion and co-existing in place. Side view of the iconic Mostar bridge. 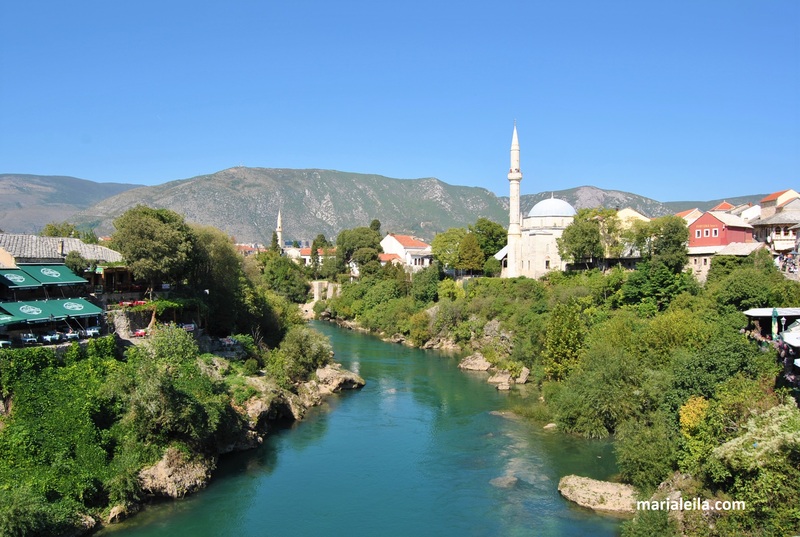 Mostar’s view from one side of its iconic bridge. 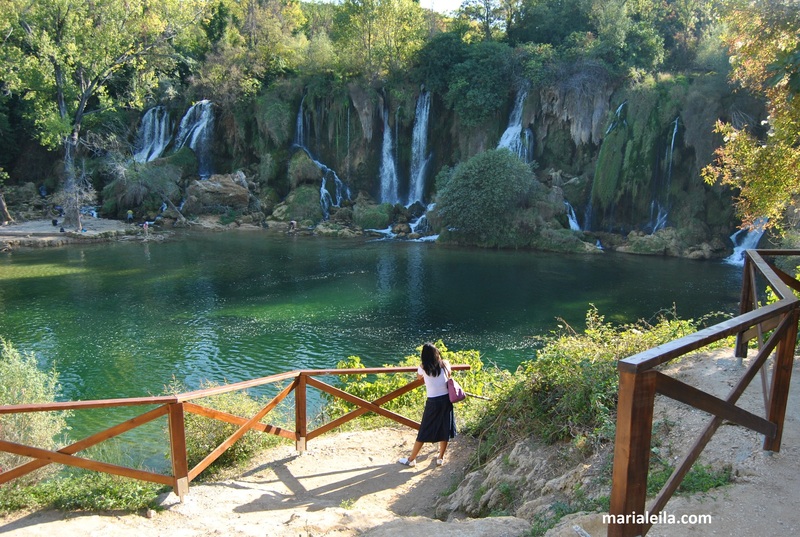 Our last stop on this tour was the pretty Kravica Falls. By this time, I was almost dead from the heat so it was a good thing the bus was air-conditioned and we had time to nap before going on foot again. The waterfalls are not that far of a walk downhill from the bus stop, roughly only about 10 minutes if you’re used to taking walks or hikes. Maybe because I’m from the Philippines where waterfalls are quite common, or maybe because we came here just at the end of summer when the waters didn’t cascade or pound into a dramatic fury, that I didn’t find the place that impressive. Still, it’s undeniably beautiful. The Bosnian currency is mark (convertible mark or KM), but they widely accept euro and Croatian kuna as well. For this trip we only paid food, water and whatnot in euros and small items like postcards in Croatian kunas. Prague was cold and gloomy when we left for this trip. The average temperature in Prague that time in late September was 14°C . When I checked the forecast in Dubrovnik and Mostar it said about 19°C. So I packed trench coats and long-sleeved dresses/ shirts forgetting to check the humidity and real feel, and forgetting in account that forecasts are never accurate. Long story short, I was boiling in this dress (and shoes) I was wearing. The homemade pomegranate liquors they were selling at Kravica were great gift items to family and friends who like a shot of good liquor now and then. 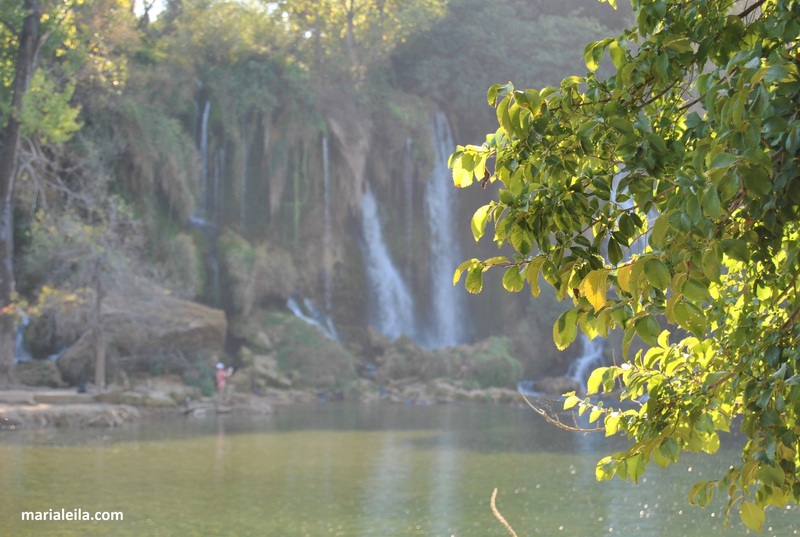 Lastly, a visit to Bosnia and Herzegovina if you’re in Croatia, is very much worth it. Do go for it. 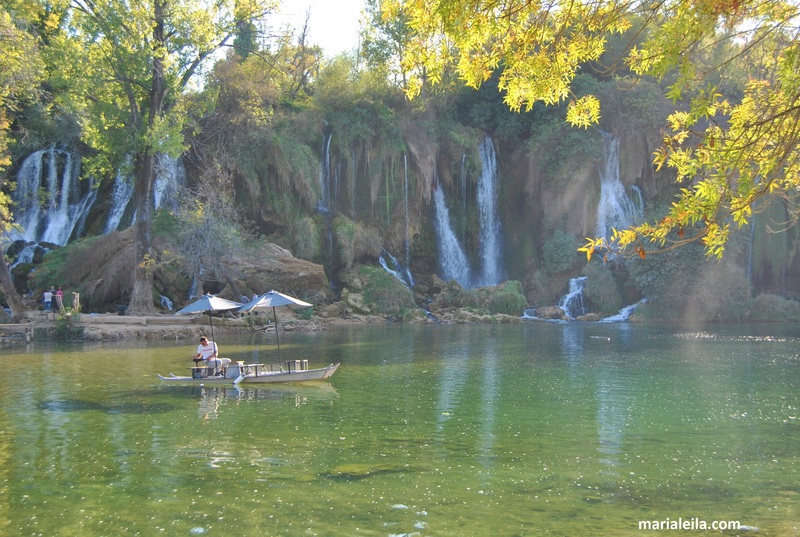 This entry was posted in Bosnia and Herzegovina and tagged Bosnia and Herzegovina, Road trips, travel diary, travels. Bookmark the permalink.